The Maritime Beef Test Station has been in operation for over 45 years, providing breeders an opportunity to have bulls and heifers in a program that stresses a total performance. This approach, not only measures gain on-test, but also reports on indicators of reproduction and carcass evaluation. 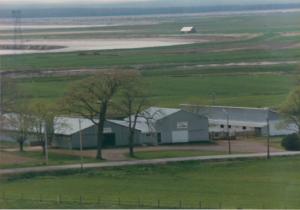 The Maritime Beef Test Station is a breeder owned co-operative. A Board of Directors consists of representatives from different member breeds, Government representatives from all three Maritime provinces and a representative from each Cattlemen’s Association.